Balloonamations! Professional balloon artists and face painters! Fabulous, professional balloon artists, balloon decorators and face painters — ready to blow. your. guests. away!!! 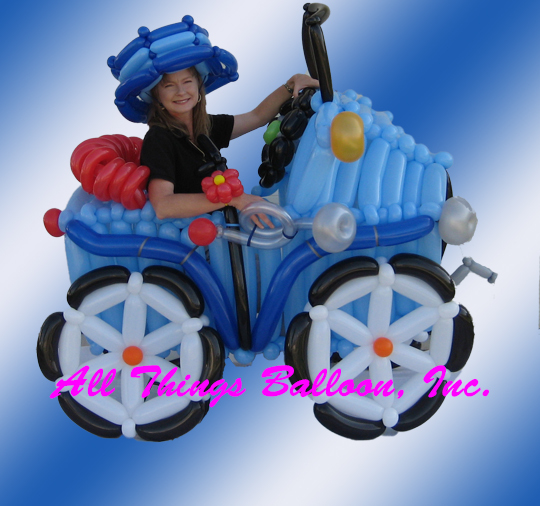 All Things Balloon — (1) nifty balloon twisters who turn simple balloons into fabulous works of art, as well as smiles, giggles, and some incredible memories. (2) face painters who can create gorgeous works of art. (3) balloon decorators that WILL dazzle you! We offer great entertainment for kids parties! When you REALLY want to amaze and delight everyone at your next event, our professional balloon artists, decorators and face painters are sure to please. We specialize in…. Our services will add color, motion and fun to just about any type of kids birthday party or children’s event. When you expect a lot of short people at your event, and you need a way to keep them mesmerized for a while, call the pros at Balloonamations and book one (or more) of our fantastic entertainers! Does your event require the most awesome balloon decorations? Check out BalloonDecor-Sa for some great ideas for balloon walls, arches, columns and centerpieces. PRICES: we charge $120 per entertainer per hour, with a 1 hour minimum. Each of our artists can handle about 15-20 individual requests in that amount of time. Please plan your event accordingly! NOTICE — We’ve updated our refund policy. A variety of recent situations has caused us to rethink our refund policy. You can review our new refund policy here. Thank you again SO MUCH for the awesome party balloons this past Friday…the kids had such a great time, and the birthday girl Sophia especially so. Please thank your husband for the incredible TARDIS…. You can also connect with us on Facebook – search for “Balloonamations” 🙂 We usually post photos of our latest and greatest stuff on Facebook first, so “Like” us and check back regularly! NOTE: some restrictions may apply, and some areas may require an additional trip charge – call us at (210) 734-9860 to discuss your entertainment/decoration needs.